Stucco of ORAC BASIXX collection is made of materials that are characterized by durability, lightness, aesthetics and perfection mapped forms. Decorative strip PB513 is pre-coated with a primer paint, but after the installation, we recommend painting stucco with acrylic or dispersion paints to an exclusive finish of the product. 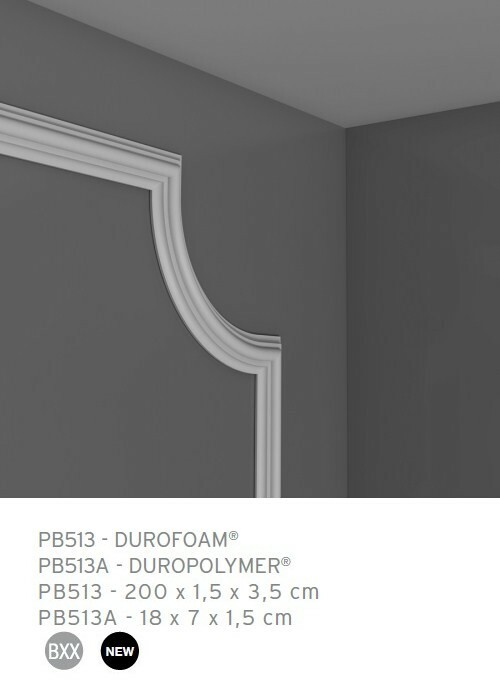 Decorative profile PB513 is resistant to moisture and wash. 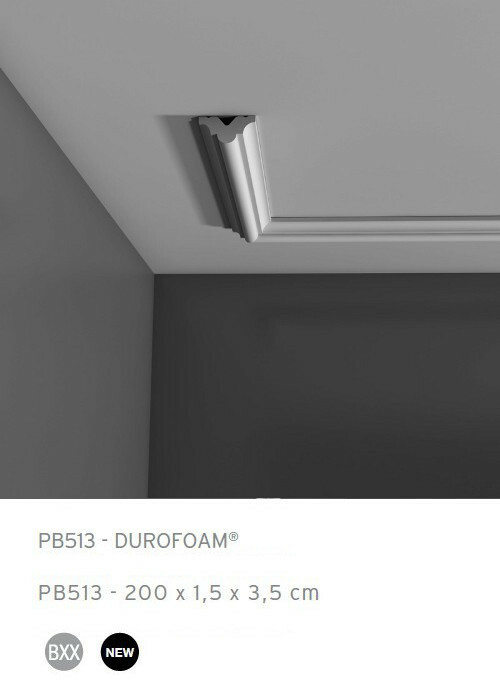 The strip is dedicated PB513A corner.